Want to have a good way to invite more people to your BBQ party? 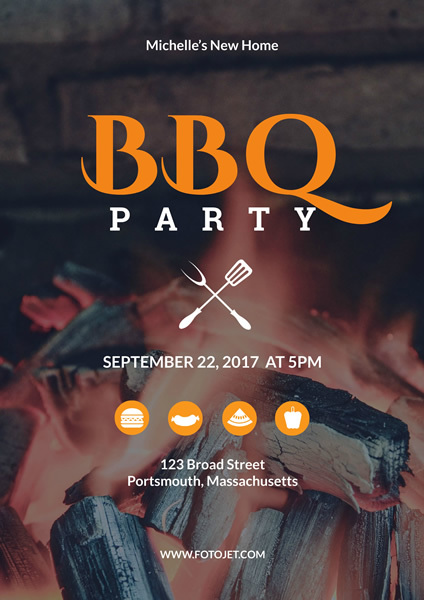 Just make your BBQ party posters with FotoJet! You will definitely take some cues from this poster design template. This party poster template features a charcoal fire image as the background. And it also arranges the text in different sizes and colors, which makes a great balance. The template is easily customizable, so you can add more embellishments from the design library, tweak the font styles, replace the default image and make more adjustments as you need.